Occasionally we feel the need to travel away with the entire family, including the kids, aunts, uncles, granny, grandpa, cousins and all. Staying in a hotel would be awkward, not only when trying to get enough rooms to accommodate everyone, but also the logistics of having enough beds in one room. To solve this problem, all over the United Kingdom can be found wonderful options, in the form of manor houses, groups of holiday cottages and so much more. Located in beautiful and scenic surroundings, these options are perfect for the very best family holiday or getaway. 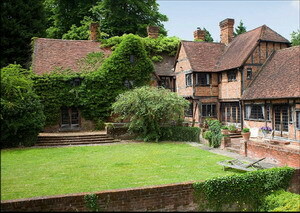 Imagine staying in a huge, historic country house. As a single family, this would leave you completely out of pocket, but as a group, with everyone chipping in their share, this is no problem at all. House Parties offers a selection of large holiday homes in various areas of the U.K., including beautiful properties in Devon, Herefordshire, Sussex, Yorkshire, Scotland, Norfolk, Northumberland, The Scottish Borders, The City of York and Henley. Imagine staying in a beautiful manor house from the 1500s, retaining all its original charm, but with all mod cons and a beautifully groomed garden too, or a large modern home up in Scotland, surrounded by the most scenic sweeping Scottish hills. Whether its a family holiday, wedding getaway or family celebration, there is something suitable for all requirements. If you are not too happy with the idea of all being lumped together in one spectacular home, there are some great holiday cottage complexes available all over the U.K. This would allow the family to be close, but not too close, in several comfortable cottages. This is particularly nice for the older generation, not wanting to share space with noisy young children and toddlers. A perfect example of this is Wringworthy Cottages, located on a farm down in Looe, Cornwall. Wringworthy consists of several attractive stone cottages dotted around acres of lovely countryside, while close to the seaside area and the facilities of the village of Looe itself, keeping everyone happy. 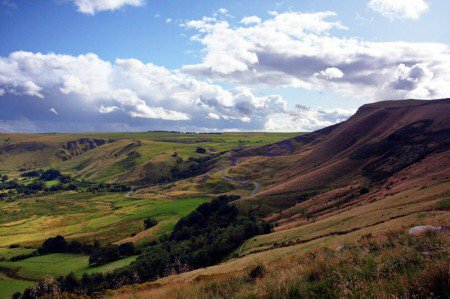 The Peak District Anyone fancying a trip up to the beautiful Peak District in the north can appreciate the facilities at Hurdlow Grange where a selection of converted barns and luxurious farmhouses are available to suit any number of people in a group, from four to 43. Some of these lovely homes date back more than 300 years and often the original features have been retained. All the way around is the most beautiful scenery, perfect for walking and picnics. On the other scale, for those not requiring luxurious surroundings, there are always great backpacker options available all over the country where youngsters can bunk in together and have fun in converted barns and farm buildings. This is not only great fun but also totally affordable. If planning a big family trip away, these are just some of the options available for you to have fun in good company.